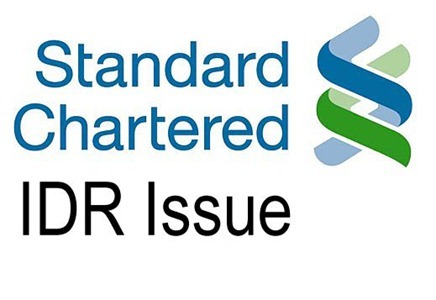 Finance Friday: India's first ever IDR from Standard Chartered gets lukewarm response - subscribed 1.38 times ! On April 2, we had posted under this very section of Friday Finance, regarding India’s first ever IDR issue by Standard Chartered Bank aiming to raise anywhere between $500-750 million through issue of 24 crore IDRs. Every 10 IDR will be representing 1 share of Standard Chartered under which investors will have the option to convert them into shares after one year. The subscription for the Indian Depository Receipts (IDR) of UK-based banking major Standard Chartered, which is priced in the range of Rs.100 to Rs.115, is slated to close today. The foreign bank has launched its first ever IDR to enhance its market visibility and brand profile in India. Until now, the issue has received a tepid response as per the latest updates available on the NSE site. The IDR has just managed to garner the targeted response with subscription figures of 1.38 times as on 03.00 pm. In fact, the issue had got very nominal subscription figures of 11% during the first three days. However, this sort of lukewarm response for the StanChart IDR has come contrary to the positive recommendations tipped by most of the brokerage reports. “Standard Chartered Bank’s (SCB) IDR provides Indian investors a vehicle to invest in a global entity that has a global presence. As a result of its diversified presence and emerging market focus, SCB came out relatively unscathed from the sub-prime crisis and is now well poised to benefit from the ongoing recovery in emerging economies. Hence, the bank is an excellent diversified multinational banking play, with strategic positioning in high-growth emerging markets. The stock is currently trading at 1.7x CY2010 P/B vis-à-vis 2.9x and 3.8x FY2010 P/B for Axis Bank and HDFC Bank, respectively. We recommend subscribe to the issue." Since foreign companies cannot list in India, IDR could be a good medium for the Indian investors to take part in the growth of the foreign company. But, going by the response to the StanChart IDR, it seems Indian investors are not content with either the valuations of the issue or still risk-averse to invest in shares of foreign banks. 70% people eat & drink while driving, While 35% get dressed/undressed !